Both Manchester teams has overtaken Chelsea as the clubs with highest wage bill premier league 2017-18 season. Chelsea’s 2015-16 wage was highest in the league (£215 million). But Manchester United and Man City spent massive amount of money in the summer transfer of 2016 and 2017 to bring in top talent which ultimately increased their yearly wage bill. Below is the entire rundown premier league team’s wage bills. Update: Manchester City now has the highest wage bill in premier league yet again with them reaching record £225m a year in player wages while Manchester United also had their wage bill increased from £203m last year to club record £220.8m in 2017-178 season. Leicester City also had their wage bill increased from £48.2 million in league winning 2015-16 season to massive £80m in 2017-18 season. The above figures were taken from official clubs accounts ended 2013,2014 while the 2015 figures are speculative from sources like guardian.co.uk who publish premier league club finance details every years. We will be updated each clubs whole squad player salaries and you can click on the name of the club to get the specific clubs salary details. Right now Manchester United, Arsenal and Chelsea salaries has been updated. 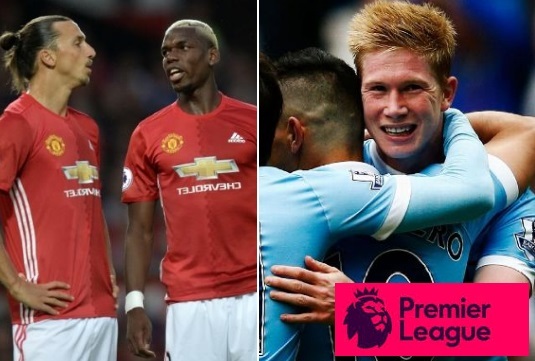 English Premier League is the richest professional sport league in the world and it is also by far the most watched around the world which makes it most marketable and there is heck of a lot money in Premier League than compared to other rival european leagues such as Spain, Germany and Italy. Premier League signed a record breaking domestic TV rights deal for 2016-2019 which will bring in £5 billion just from UK rights and total income from domestic and foreign rights for next three years period might reach £8.5 billion which is almost doubled from previous tv rights deals. This new deal will enable all premier league clubs from 2016-17 to pocket atleast around £100m for a season and might reach £160m for the champions. So premier league wages are only going to increase if we look at the trend in last decade. Below is the list of all premier league clubs wages. Leicester city is 17th in payroll at 1/4 of what the big clubs are and yet they are in first place. How is this happening? I am from America and we get like one game a week and not L City. We like to root for the small team. You’re in America and you get 1 game a week….I live in the states on the west coast and I can watch any premier league game I want. All you need is the NBCsports app or website and you sign in using your cable provider username and login. You can watch any game, I watch every Leicester game..
Good scouting, a brilliant manager, and a league in decline. The big English clubs just throw money at highly rated players who end up lowering their game, content with their new big salary. Not to take anything away from the Foxes, but this is an indicator of the state of the overall league, and it’s not good. 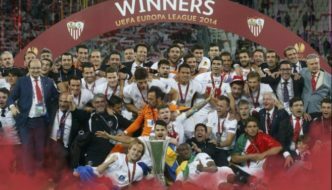 The top English teams pale in comparison with their Spanish and German counterparts. That’s the pessimist’s view. The optimist’s view is the rising tide is raising the ‘smaller clubs’ up, leading to a more competitive league. Which adds to the appeal. Leagues with 1 or 2 superteams and the same 3-4 ‘top’ teams each year are of little interest to outsiders, let alone the supporters of the forgotten teams. PSG may be the gem of Ligue Un, but they remind me of the Dynamo Moscow etc teams of the Soviet past, that were almost built to shine in Europe. 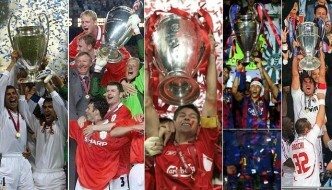 I don’t know, but there really haven’t been other examples of smaller clubs excelling in other big leagues. Maybe Atletico Madrid in recent years, but I wonder how long that will last once Simeone leaves? The NBCSports Network shows every premier league game. It should be available online if you don’t get the channels. 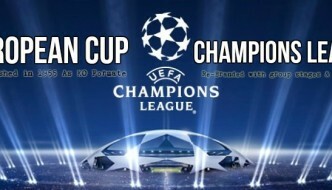 They make it really easy to keep up with the EPL. You hit the nail on the head. When LC starts competing in multiple tournaments at once, they might not prevail as well. We will see. Does ‘wage bill’ include all the well paid coaching staff and the huge salaries of the managers? I was just looking here, and recall that Ibrahamovic is on a reputed £660k per week at MU. That’s £34 mill a year. The same as B.mouth and M.boro pay their entire staff, and More than Burnley and Hull’s total payroll. 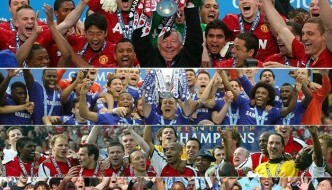 English Premier League is the richest professional sport league in the world.